In deciding which Dutch language titles to buy, the Library needs to be very selective, bearing in mind that the audience for such material amongst our readership is small. What we buy in Dutch is a small percentage of Holland’s total publishing output. On the other hand the Library has excellent collections of Dutch material, and providing continuity in our collection development is important. The Dutch language collection currently numbers about 22,000 items, and we add between 200 and 250 new titles each year. Our main focus is on history, fine arts, church history and medieval literature. Contemporary literature is acquired much more selectively. The annual Libris Geschiedenis Prijs is a useful indicator of important recent titles in Dutch history, and the shortlist is scrutinised carefully. We buy many but not all of the titles featured, restricting our choice to books relating to the Dutch-speaking world. We did not acquire the 2010 winner, for example, a book in Dutch on the history of the Congo by David van Reybrouck, although this later appeared in English translation and was therefore received under legal deposit (649:2.c.201.29). The 2014 short list gives a flavour of how Dutch language history fits within our collection development policy. 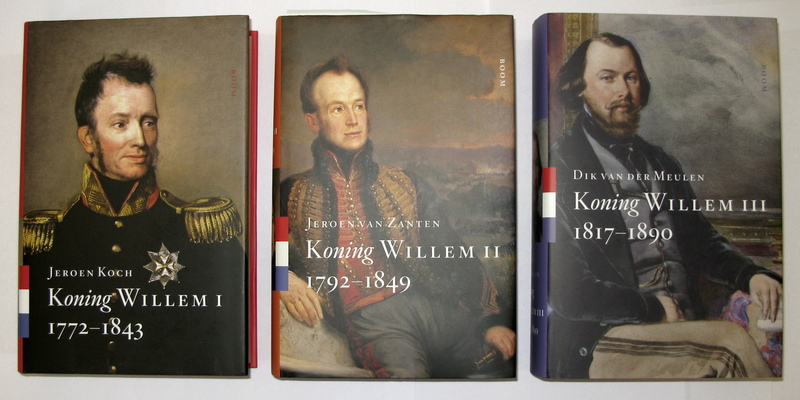 The winner, Koning Willem III, 1817-1890, by Dik van der Meulen (601:5.c.201.16) is the third in a sequence of biographies of 19th century Dutch monarchs, each with a different author. One of the other nominations was the third and final volume of a scholarly biography by Hans Dalder of Dutch Prime Minister Willem Drees, whose life spanned most of the 20th century (601:5.c.200.33). Dutch titles are more likely to be bought when they have a strong interdisciplinary appeal, as is the case with two other 2014 nominations. 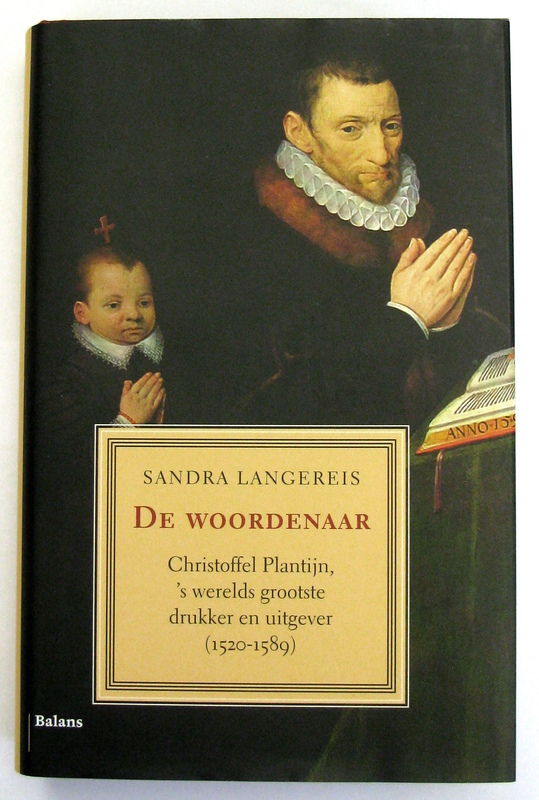 Sandra Langereis’s biography of Christoffel Plantijn is also of relevance to those interested in historical bibliography and book production (C209.c.9529). Bas von Benda-Beckmann’s De Velser affaire (539:1.c.734.32), on collaboration in Holland during the German occupation, is of significance for those interested in the Second World War on mainland Europe, and in Jewish and Holocaust studies, both important areas for the Library’s collection development. Annejet van der Zijl’s study of Gerard Heineken and the Dutch brewing industry (C209.c.9206), the final title on the nominated list for 2014, was a rather more marginal choice, but we had no equivalent about the history of the Heineken Company in English. Since Heineken is such a major international brand and the book was inexpensive, we went ahead with the order. The book turned out to be nicely produced and lavishly illustrated, but is clearly aimed at the general Dutch reading public rather than a scholarly audience. Collection development can never be an exact science, particularly when we are making the decision to purchase without the book in hand. This entry was posted in Dutch, Historical collections, New Acquisitions and tagged buying books, literary prizes, prize winners by europeancollections. Bookmark the permalink.